In the morning of November 23, it became known about searches and detention of several Crimean Tatar activists. Among them are Bekir Degermendzhi and Asan Chapukh. According to Russian sources, the detainees are allegedly extorting money from a Turkish citizen on a particularly large scale. “Currently, operative and investigative actions are being conducted, a criminal case has been initiated,” Crimean "law enforcers" claimed. The detention of Bekir Degermenddzhi occurred opposite the restaurant "Marakand" in the cafe "Medobory" in Simferopol. During the detention his house in Grushevka, Sudak district was searched. Bekir Degermenddzhi himself arrived in Simferopol, because today he was to participate in the hearing on the case of "February 26". "Their vehicle stood at 11.00 near our office, opposite the cafe," sources from the Crimea reported, describing the detention. 57-year-old Bekir Degermendzhi is the father of Mustafa Degermendzhi, a defendant in the “February 26” case. It also became known that Kazim Ametov, a friend of Bekir Degermendzhi, was searched as well in the village of Grushevka, Sudak district. In addition, the security forces conducted a search in the house of Elmira Gaziyeva-Baranova in Feodosia. Four cars with the law enforces came to her for a search, but she was not at home. Elmira's father approached the house, but the security forces did not let him in. 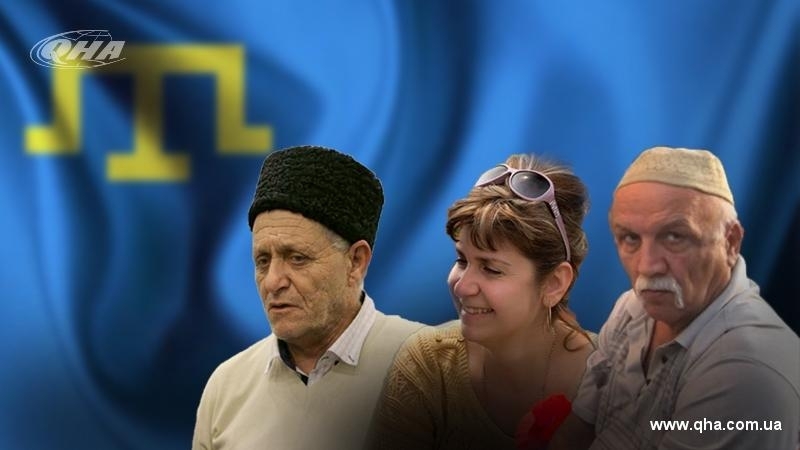 Among the detainees who allegedly extorted money from a Turkish citizen are Crimean Tatar Asan Chapukh, Bekir Degermendzhi, the father of a defendant in the criminal case of “February 26” on a rally outside the building of the Supreme Council of Crimea in February 2014, a resident of the village of Grushevka (Sudak district) Kazim Ametov and Kurtseit Abdullayev. The amount of bribes that they allegedly extorted from a Turkish citizen is 7 thousand dollars. As for the Turkish citizen, who was allegedly subjected to extortion, it became known that his name was Yusuf, he cohabited with different women and owed money to several people, among them was Vedzhiye Kashka. The activists, feeling respect for the Vedzhiye’s family, intervened in the situation and tried to help. QHA journalists found a Facebook profile of Turkish citizen Yusuf Aytan, who appears in the case of detaining Crimean Tatar activists as a provocateur. The profile indicates that he comes from the city of Samsun, which is on the Black Sea coast of Turkey. The man graduated from Donetsk National University. At 13:13 Russian media reported the death of 83-year-old Vedzhie Kashka, a veteran of the Crimean Tatar liberation movement. According to the version, she was an "intermediary in obtaining a bribe" and "died as a result of the stress experienced." Also, the first image of the detention appeared. Earlier, in Bakhchisaray the Kremlin-controlled security forces searched the home of the Crimean Tatar activist, Qurultay delegate, member of the city Mejlis of the Crimean Tatar people Mustafa Mustafayev. QHA reported that in the Simferopol area under decision of the "court" the security forces evicted the family of the Crimean Tatars, Seitnebievs, from their house. During the eviction of the Crimean Tatars the security officials used physical force. According to preliminary information, the family was evicted because of problems with the documents. Earlier a search was conducted in the home of a primary school teacher of the Crimean Tatar language Lenara Mustafayeva and her husband Mustafa. After the search, Mustafa Mustafayev was taken to Sevastopol. Later, Mustafayev's son told the details of the morning searches. He said that the security forces came to the family's house at 8 am and broke the doors.